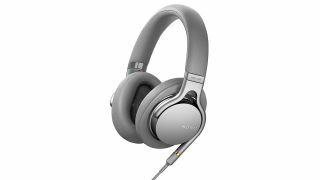 Sony MDR-1AM2 headphones: Black Friday deal makes these a must-have | What Hi-Fi? Black Friday 2018 is upon us and deals are already starting to trickle in. This one from Amazon may sell out fast as its on some great headphones, the Sony MDR-1AM2. These wired on-ear headphones are now £204.26 £150. They are the successors to the excellent Sony MDR-1A and bring features like hi-res audio, aluminium-coated, liquid crystal polymer diaphragms and 3Hz to 100kHz frequency response. All that should add up to versatile audio reproduction that you'd hope would exceed the new price. The grills' pattern is based on the Fibonacci sequence which is a fancy science based way of protecting the precision diaphragm. The result should be far higher quality high frequency audio without any mess added to the clear sound. Sony says the pressure-relieving earpads offer total comfort while the heavyweight bass improves the characteristics of the bass. The headphones themselves remain light and portable with a swivel design for ease of travel. Still got plenty of Black Friday savings spare after this deal has come in so low? There are plenty more deals to be had. Check out a few below.